If you press further, you’ll find out that the parent is overwhelmed by the toys that the kid has, and they really aren’t all that excited about giving more plastic crap to their kid. Enter, the gift of stock. Giving a share of stock to kids is a fantastic way to avoid stressing out parents, help prepare a kid for their financial future, and teach a few lessons along the way. These are the best ways to give a share of stock to a kid. In my opinion, the single best way to give stock to kids is to contribute to their 529 or ABLE accounts. Many parents have a few hundred or a few thousand dollars invested for their kids future, and they will appreciate every extra dollar that can be invested on behalf of their kids. If you plan to give thousands of dollars to a special kid, you can set up a 529 account on your own and name the kid as a beneficiary, but for most people that’s an excessive gift. A more practical way to contribute to a 529 plan is to ask the parents if they have one set up. If they respond positively, you can ask them to invest your $20 or $50 gift on your behalf. This sounds like a measly gift, but it adds up over time. I have two kids, and they both have 529 plans that we’ve funded through cash they received for birthday and Christmas gifts. Their accounts each have several thousand dollars in them. 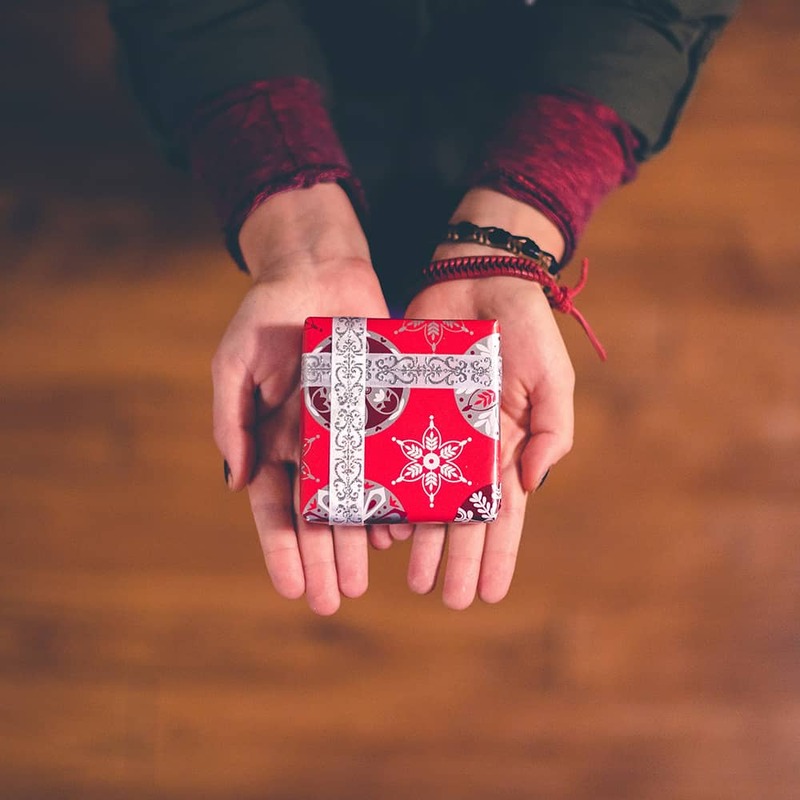 A great way to give the gift of college via a 529 plan is to use a service like CollegeBacker. CollegeBacker makes it easy to setup and contribute to a 529 plan! Check it out here. If a contribution to a 529 plan isn’t a realistic option, consider giving an actual share of the kid’s favorite stock (or an ETF) through a fractional share platform. There are a number of websites dedicated to this exact option. Stockpile offers the ability to buy fractional shares in custodial accounts. StockPile charges just $0.99 to buy a share. Both of these platforms make it easy to set up a custodial account for a kid. Plus, you can buy stock shares or ETFs (which give kids a more diversified portfolio). Right now you can gift $5 of stock FOR FREE! Check out Stockpile here and gift your free stock. (It makes for an awesome stocking stuffer). 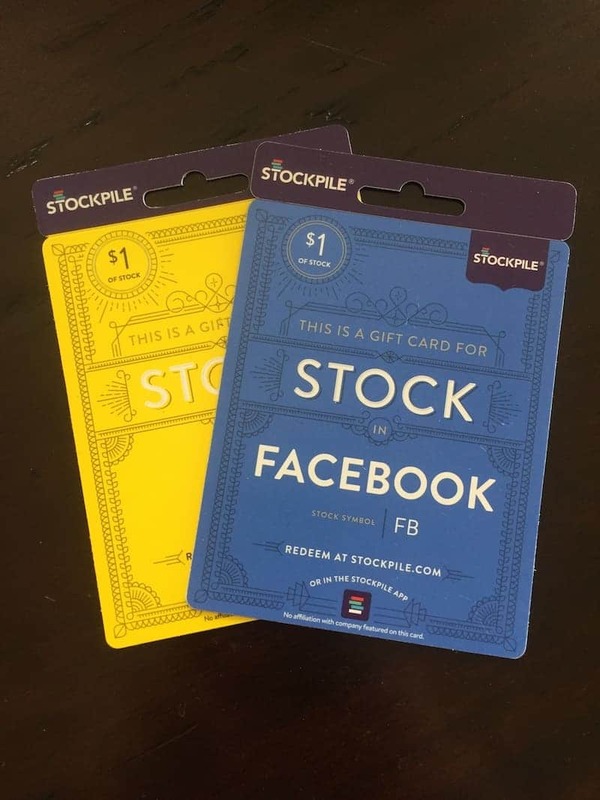 Another cool thing about Stockpile is that you can give stock gift certificates. That way you can actually give the kid something physical they can redeem and see the process for themselves. Right now, there are a growing number of fractional share companies, but most of these companies don’t offer custodial accounts or they have high maintenance fees for people with small account balances. Another way to buy a share of stock for a kid is to buy a Dividend Reinvestment Plan (DRiP) directly from a company. FirstShare has a curated list of companies that offer fee-free DRiPs, and they make it easy to set up a custodial plan for kids. To set up a DRiP, you have to buy a share of the company stock, and then sign up for automatic reinvestments of dividends. Plenty of kid-friendly companies like Hershey’s and Hasbro offer no-fee DRiP plans for shareholders. Furthermore, most of our favorite free places to invest, such as Fidelity or TD Ameritrade, offer free dividend reinvestment within your account. Giving a share of stock is a good way to help a kid get on solid financial footing, but the lessons that come with it are even more important. When you give a special child a share of stock, consider giving them tools for financial literacy too. If you feel comfortable with it, you could teach them how to evaluate a stock on Yahoo Finance, or you could give them a book that would teach them age-appropriate lessons. 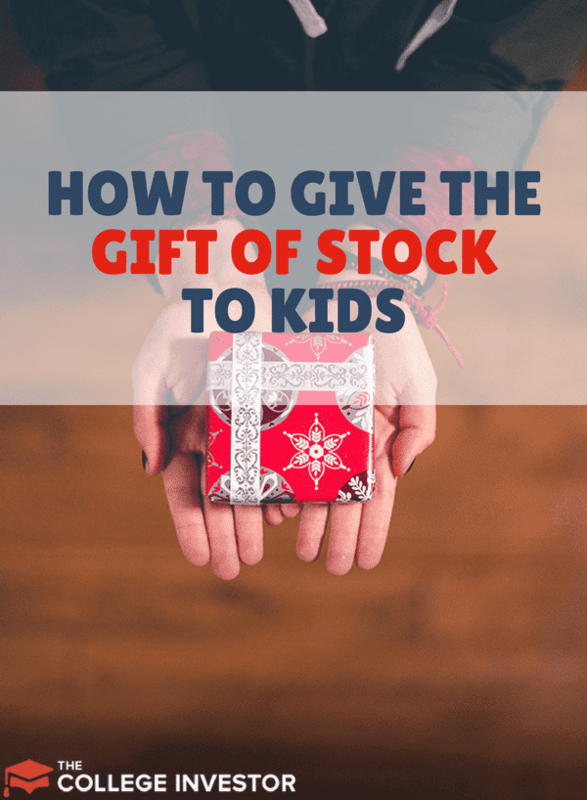 Are you planning (or have you in the past) given the gift of stock to your kids? You forgot to list GiveAshare.com 🙁 where someone can buy a share of stock as a gift AND unlike any of the others, you get the authentic stock certificate. We see the authentic stock certificate as a critical part of grabbing attention and teaching kids/teens about stocks. Now that brokers charge over $500 for delivering stock certificates (industry-wide effort to discourage paper certs), we are in a sweet spot. As more and more companies elect to move to electronic registration (like Disney and Apple), the real certificates take on a collectible value. In addition, the ornate certificates look beautiful when hanging on the wall and are quite the conversation piece. You forgot about UGMA (Uniform Gift to Minors Act) accounts. It’s basically the investment is made in the minor’s name but is held by you (the trustee) for them until they turn of age. Hey Christian, when you open an account at Stockpile, or do a DRiP at a brokerage, you’re doing a UGMA account! We just didn’t call it out by name as that, as that can be confusing for some people. I am very interested in buying 4 of my young adult children $100 each on a stock but I don’t know where or how to go about it. This would be for Christmas this year. Any suggestions? If you want to be cute about it, check out the Stockpile giftcards above. If you don’t care, then just open an account for them and deposit it. Does the court order say who should administer the account and what kind of account it should be? You could put it in a UGMA, Trust, or 529 with you as the administrator if that’s allowed.